Perfect opportunity to own a renovated home in coveted Bel Mar Shores! Wonderful school district (Mabry, Coleman, Plant) and welcoming familyneighborhood. Priced to sell in the heart of South Tampa, this home is conveniently located 15 minutes from downtown and the TampaInternational Airport. With an open floor plan and outdoor living space, this home is great for entertaining! 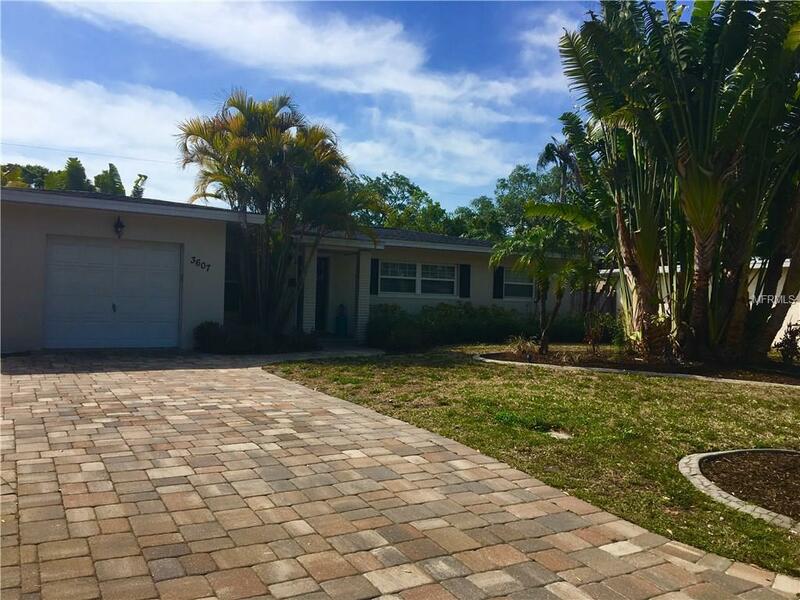 Tropical landscaping surrounds 3 largebedrooms and 2 updated bathrooms with brand new, hand scraped "wood" tile floors throughout. The new roof was installed in November 2014and the new air conditioner was replaced in November 2015. At almost 1,700 sq feet this home features many custom details including a paverdriveway, custom built laundry room, 1 car garage, large covered patio with pavers and more! The recently updated kitchen boasts granitecountertops, stainless steel appliances and a view to the spacious backyard. Recently completed, the double entry master suite has two customclosets and an ensuite bathroom. The HUGE walk in closet is 8'x10' and the bathroom features a glass enclosed shower and marble top doublevanity. Additional features include an upgraded laundry room and custom pantry, bonus office/flex space, barn doors and crown molding in everyroom. This home is thoughly detailed and the perfect opportunity to own an updated ranch in beautiful South Tampa!